Nolton Lake is a folk / world artist based in the city of Montreal. He has been lead signer/guitarist for other bands since 2013, but it’s in 2017 that his solo Nolton Lake project took his first flight, releasing his debut album “Anahata”. 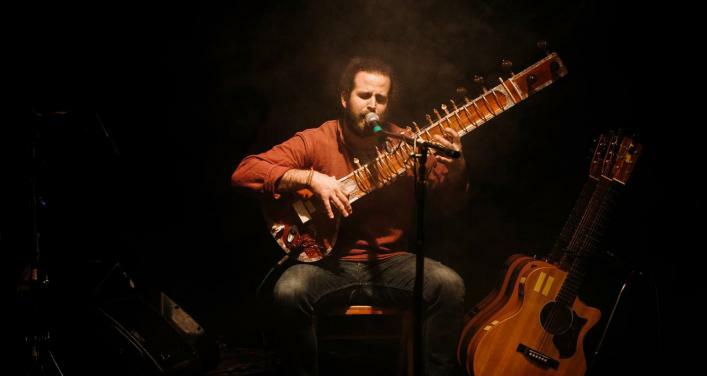 A solid acoustic guitar base, embellished by Indian Sitar melodies, and transported by a groovy drum & bass section make his show very special and unique. Being a traveller himself, Nolton Lake takes the crowd on a journey of the world and destinations he visited to create his musique, making him a true one-of-a-kind artist.